This is my Christianity Book about the Roman Empire and I hope you learn something from this. I learned that the lama temple was built in 1754 and this part of the temple was home to the emperor when he was born as a baby, he then gave it to the Lama Temple and it became a part of the temple. 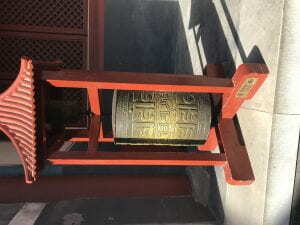 The lama temple was full of artifacts that consisted of wheels, bracelets, and an extremely large silk scarf on the Big Boy Buddha. Also behind this B.B.B, there was little desks and spaces that monks could go and study about Buddhism and Buddha stuff. 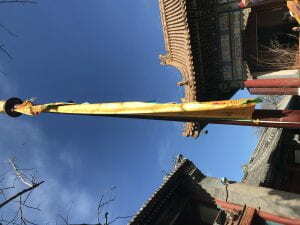 The incense of the lama temple was also a measurement of the length of your life, I believe if you broke 1/4 of the stick you would live to 80, if you broke 2/4 of the stick you would live to 60, if you broke 3/4 of the stick you would live to 40, and if you broke the entire thing you would live to 20. I believe that this trip was fun and a good learning experience for all students that are used to the everyday classroom learning style. 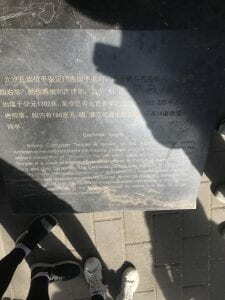 As we went through the temples we got to look at artifacts that were around at that time, we learned about the importance of the Legalism, Confucianism, and Daoism philosophies. In this year’s one day, my group of fellow students and I were “teachers” for the day. We taught seconds graders and assisted their teachers with the tasks of science, cleaning up the room, and helping the students figure out how to make a boat float. I read to the kids the book Go, Dogs, Go, we also had the kids have a passion lesson which we did bowling. There were too many kids though for us to have everybody bowling so we had half of them play tag. My biggest success was that I was able to come back and make a successful catchall. One thing I’d like to change is my nails going into my connectors in the back because we ran out of nails that were the same size so we had to get bigger nails and that made the catchall look ugly. The impact of this product will enable me to have a place to put my ID card and my super important iPad. My reading comprehension is pretty bad and i would like to improve upon that. I can do that by reading and taking more notes and trying to understand what the book is about. I only work with a small number of people that I am friends with, I want to be able to work with a variety of multiple people so that I am comfortable working with any group and any table to I am pared with or seated at. I will do this by presenting a better attitude whenever I am with people that I am not normally being with. 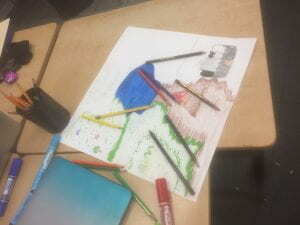 My hero’s journey is about a man named Conner and he is the son of a king. When a evil magician attacks the kingdom and kills his father Conner must go to retrieve the pendant of the kingdom. 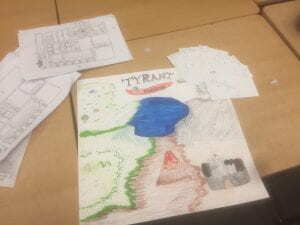 I chose this OneDay project because I thought it would be cool making a game and it was a very interesting subject to try and explore. I also thought that making a world where you wandered around meeting made up things was cool and I would have loved to actually play a professional idea maker that had already made a good story and play it. 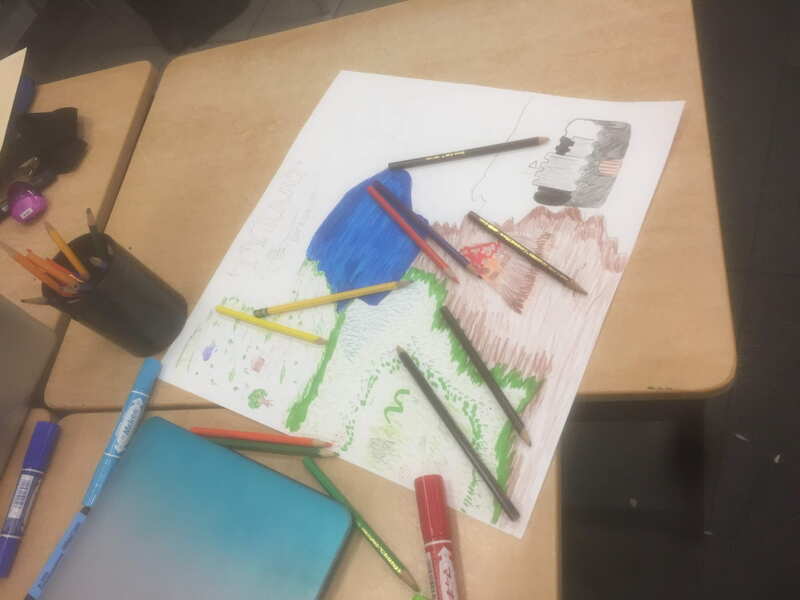 The major events of this day were created because we had to do think about what the story was and we had to think from scratch for everything we wanted to do. The day was really good for about the first two hours then we ran into a brick wall that destroyed our entire plan, we then had to pretty much change our entire plan to something that instead was more physical instead of more mental type of playstyle. 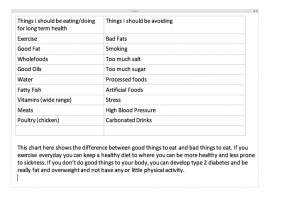 If you could stay healthy, would you be prepared to listen to a 11 year old? Hello, this blog post is about health. 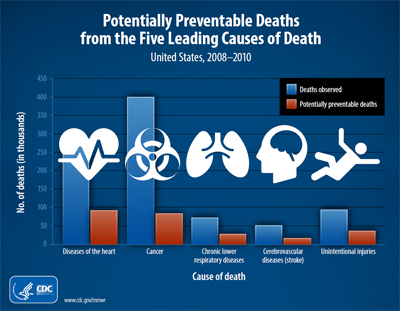 This picture shows leading causes of death and some of those can be avoided if people ate better and were more healthy. If people follow your suggestions, what will happen? why is this important? 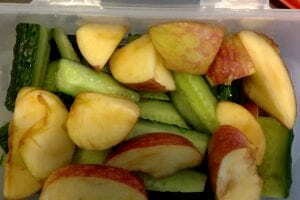 I cut some apples and cucumbers to prepare a healthy meal that people could enjoy as well. I decided to share this with my friends because i thought it was healthy with the fruits and vegetables.